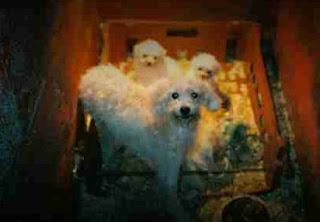 According to Irish Central, Ireland has banned puppy mills. New Irish laws took effect on New Year's Day that outlaw intensive dog breeding operations. All puppies must now be microchipped so that the dog breeder can be identified, and authorities can inspect and shut down any facility that fails to meet the standards set by the new regulations. The new anti-puppy farming legislation makes it impossible to produce hundreds of puppies in filthy and overcrowded kennels. Dog breeders will be allowed to keep large numbers of animals, but only under strict conditions and standards set down by the new regulations. All dog breeders must also be registered with their local authority to comply with the new rules. Activists have fought for years to protect puppies from unscrupulous breeders and get rid of Ireland's reputation as the Puppy Farm of Europe. Now the Welfare of Greyhounds Act and the Dogs Breeding Establishments Act will enable the Irish government to clean up the country's act.